Gjeldsregisteret AS is a wholly owned subsidiary company within the EVRY Group, which has been granted a license from the Ministry of Children and Equality to act as debt information company. The purpose is to prevent debt problems in private households by helping banks and other creditors to check how much credit and consumer debt a loan applicant already has. This will help financial companies to make better decisions, while loan applicant can expect better advice from lenders regarding the loan capacity of their finances. The Debt Information Act regulates who will use the services. It is mainly banks and financial institutions, Husbanken, the Government Pension Fund, municipalities, Norges Bank, Finanstilsynet and Statistisk sentralbyrå. In addition, credit information agencies may use the information as part of their credit score modelling. Gjeldsregisteret AS will deliver its information services via web (infotorg.no) and through directly integrated solutions in its customer's systems. This ensures that those who have a license, to receive data, will get the information updated in real time based on modern event-based updating, thus ensuring the best possible decision-making methodology in a cost-effective manner. Gjeldsregisteret AS emphasize the importance of information security and privacy in all transactions, which is also in line with the concession and new privacy regulation law (GDPR). Access to own data solutions will be established, and notice will be given upon disclosure of debt information to the subject of the request. There are more than 500 financial institutions that will provide debt information to Gjeldsregisteret AS. 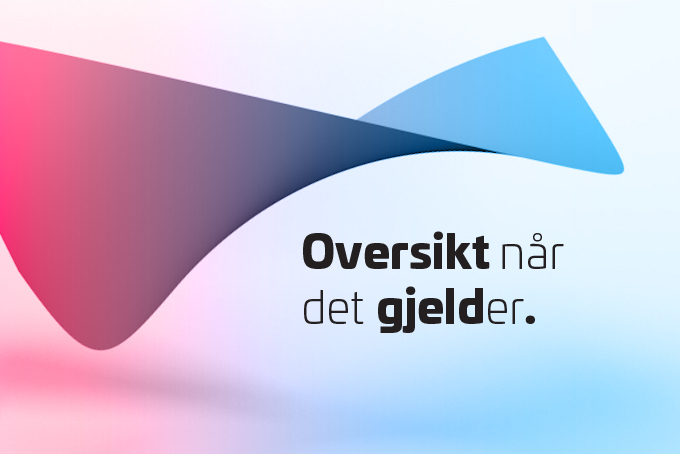 According to Finanstilsynet, Norwegians have consumer loans of about NOK 108 billion at the end of the first half of 2018.